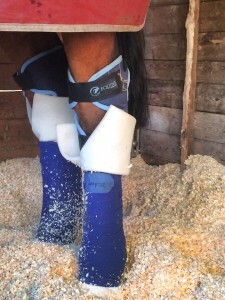 ‘I have been using the Equine Magnetix hock boots for a number of months now and have already seen improvements in a couple of the horses I mainly use them on, each having a different ailment to help. 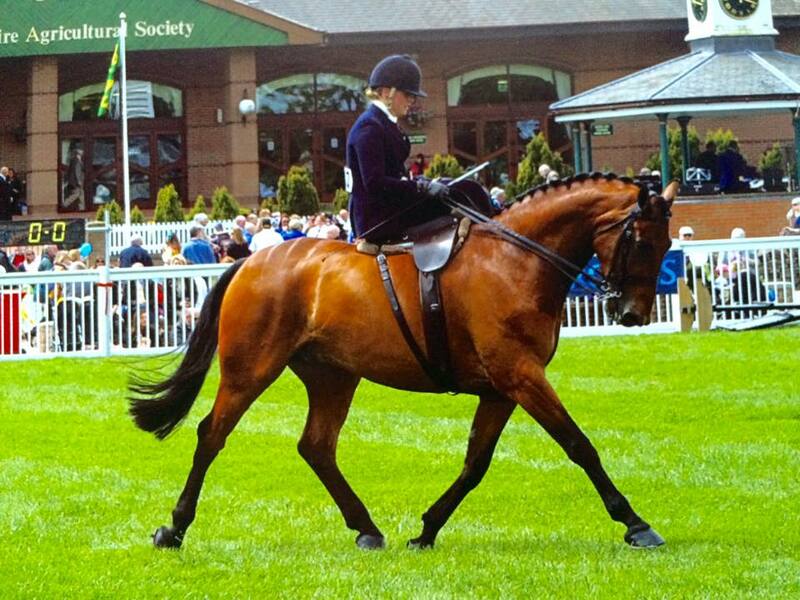 My 5yo show hunter Mallie, managed to get himself caught up in the lorry on the way to a clinic just before HOYS, banging his hocks quite badly. This meant that as well as being very sore and stiff on them, both hocks were also left with a fluid swelling and thickening of the skin. 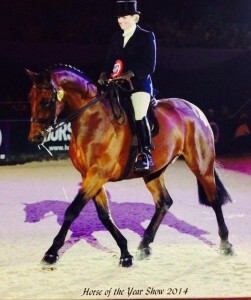 Not being able to use many types of medication so close to help him and alleviate any pain, I was starting to panic that even if I could get them looking better for HOYS, the long term cosmetic appearance of them would still be unsightly for the show ring and could also lead to stiffness later on in life. 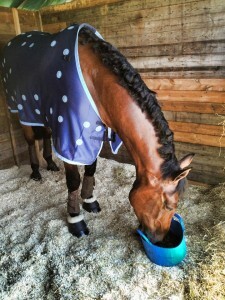 I started using the Equine Magnetix hock boots, to see if the magnets helped in his situation. I noticed a vast difference in the swelling around his hocks, and also noticing a difference in the thickness of the skin, it almost seemed more flexible as if some of the elasticity had been regained, rather than a harder almost callous like skin being there. He now regularly wears the hock boots, especially after any strenuous exercise and travelling, to help maintain the fluid pockets around his hocks, (which are now barely there) and to help with general wear and tear of his joints. I have been that pleased with how the hock boots have worked for him, I now have a matching Equine Magnetix rug which he travels in. Would you like more information? Please get in touch, we’re here to answer any questions you may have. Feel free to comment on this blog post too. This entry was posted in Stiffness, Swelling. Bookmark the permalink. When choosing a magnetic rug – it’s all about the magnets!